Mainers everywhere are talking about the economy. Whether at a coffee shop or a party, nearly everyone has something to say about the state of our economy. Whose opinions are right? With new economic numbers coming out all the time, and politicians spinning them in their favor, it’s hard to tell. For example, only 25 percent of Mainers think the economy is heading in the right direction, the lowest level since the recession. But, Gov. Paul LePage apparently thinks the economy is in great shape. However, here’s what we know: The economy has certainly improved since the Great Recession, but we’re lagging far behind the rest of the nation. Some parts of the economy are doing well: For example, Portland, Lewiston and Bangor have been adding jobs; and unemployment for older workers (age 55-64) is under 4 percent. And because of these two trends, our overall unemployment rate is being pushed lower. But other areas of our economy are still suffering — most notably, our younger workers (age 20-34), many with young families, have an unemployment rate reaching close to 9 percent. This trend does not bode well for Maine’s economy because it is our younger workers and their families who are key to Maine’s economic future. What’s more discouraging is that given the importance of the economy, it should have been an area of common ground among legislators. But unfortunately, LePage and Republicans in the Legislature have pursued an economic agenda that is grounded in extreme ideology; and consequently, this “my way or the highway approach” has hurt our economy, especially young families. For example, LePage tanked a $120 million dollar with Statoil — a deal that would have improved Maine’s economy, created hundreds of jobs and put Maine on the cutting edge of a legacy industry. Instead, when Statoil was pushed out of Maine, the company invested $2.5 billion in the U.K.
Next, the governor twice canceled voter-approved bonds intended to rebuild our roads and bridges. Not only did this delay the creation of thousands of jobs by missing two full construction seasons, but it also cost the state millions of dollars in increased costs because of higher interest rates. Additionally, LePage rejected measures that would help the very industries that are doing well in Maine, such as local agriculture. Did you know that Maine has more working farms than any other state in New England? And, while the rest of the nation is seeing a decline in working farms, Maine is experiencing an uptick? Successes such as these need to be praised and built upon. Yet, when Sen. Chris Johnson, D-Somerville, sponsored a measure to strengthen and expand Maine’s local agriculture through the creation of a distribution network known as “food hubs,” LePage vetoed the bill — and his Republican allies in the Legislature flipped their original support of the measure only to support LePage instead. — Maine ranks 42nd in jobs recovered since the bottom of the recession.While the U.S. has recovered 106 percent of lost jobs, Maine has only recovered 63 percent. By contrast, New England, as a region, has recovered 116 percent during the same time period. — A recent report by the Bureau of Economic Analysis ranked Maine 41st among states in Gross Domestic Product growth last year — placing Maine behind most of the rest of the country when it comes to economic growth. — Maine has the 5th highest rate in the country of people who work only part-time because they can’t find full-time jobs. This is just a sample of serious economic missteps and lack of leadership by LePage and his allies in the Legislature. LePage wants to tell you he’s done right by Maine’s economy, but I don’t think he should be bragging about these bottom-of-the-pack numbers. After almost four years of data, it is clear that his strategies are not effective. 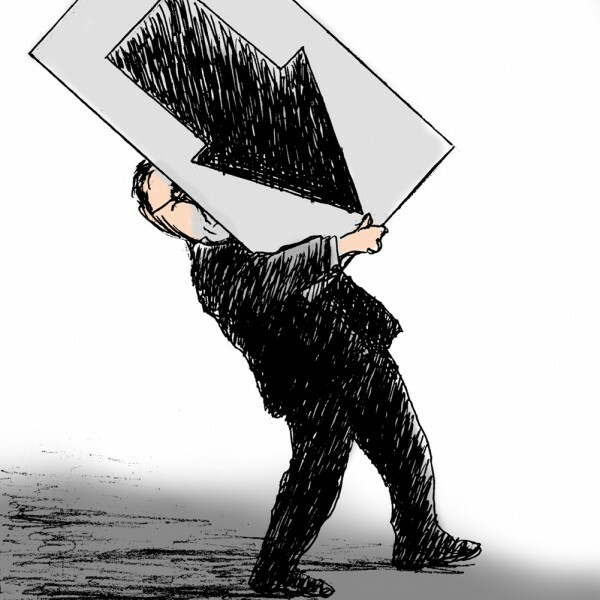 LePage and his allies in the Legislature are not what the Maine economy needs — or can afford. Instead, we need a real economic plan that will move Maine forward; a plan that builds up our children and younger workers, not ignores them; a plan that isn’t a race to the bottom, but instead capitalizes on Maine’s competitive advantages to grow our economy. Sen. Justin Alfond, D-Portland, is president of the Maine Senate.